The dining area in the kitchen of our clients apartment, in this historic manor house in Kent, shows our Chalvington range oak table and Berwick range upholstered oak side chairs. 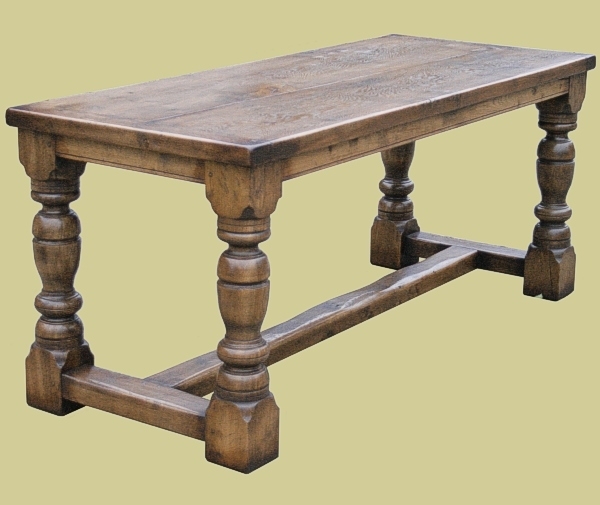 Being fully bespoke, we were able to make the table to a specific size and with a greater overhang at each end, compared to the example shown on our product page below. Everyone of our clients has their own personal preferences and we are easily able to accommodate those needs. In this case, to provide the option to allow comfortable seating at each end should the need arise. Although the chairs are from our semi bespoke range, we were also able to fulfill our clients wishes, to have the rear panels of the chair backs upholstered (at a small additional charge), as well as the front. 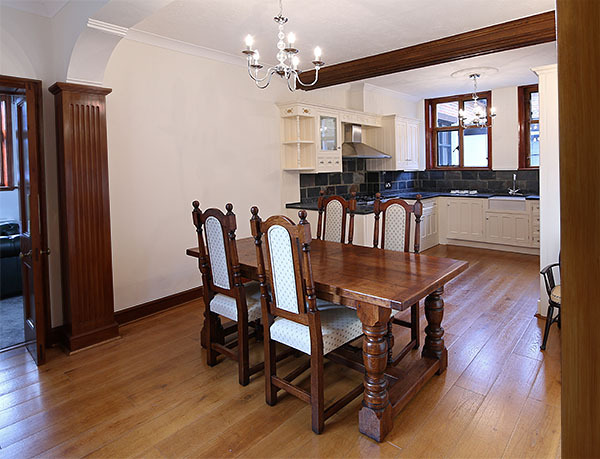 Also see: Oak refectory table & upholstered chairs in historic manor.